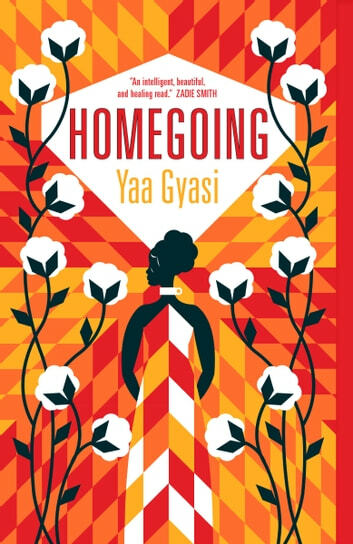 A riveting kaleidoscopic debut novel and the beginning of a major career: Yaa Gyasi's Homegoing is a novel about race, history, ancestry, love and time, charting the course of two sisters torn apart in 18th century Africa through to the present day. Two half sisters, Effia and Esi, unknown to each other, are born into two different tribal villages in 18th century Ghana. Effia will be married off to an English colonist, and will live in comfort in the sprawling, palatial rooms of Cape Coast Castle, raising "half-caste" children who will be sent abroad to be educated in England before returning to the Gold Coast to serve as administrators of the Empire. Her sister, Esi, will be imprisoned beneath Effia in the Castle's women's dungeon, before being shipped off on a boat bound for America, where she will be sold into slavery. 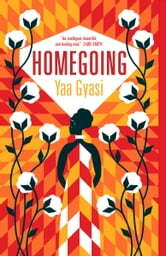 Stretching from the tribal wars of Ghana to slavery and Civil War in America, from the coal mines in the north to the Great Migration to the streets of 20th century Harlem, Yaa Gyasi has written a modern masterpiece, a novel that moves through histories and geographies and—with outstanding economy and force—captures the intricacies of the troubled yet hopeful human spirit. This loosely strung series of vignettes hangs on the premise that there is/was an African legacy of shame and sad consequences to be set along side the obviously terrible consequences for those whom their fellow Africans sold into slavery. This is obviously a good marketing angle, as African Americans become increasingly interested in both the history of their slave ancestors and the circumstances of their enslavement. Unfortunately, the situations and attitudes Gyaasi fabricates for her African characters lack plausibility in terms of history or Akan (Asante) culture. As a person who has lived in Asante, and studied and taught the history and culture, I found Gyaasi's errors disappointing and jarring, reflecting a moralistic but naive American sensibility. My Asante friends would be bemused by the notion that they might bear a "curse" from their "slaver" role 250 years ago. Wow. This is what book hangovers are made of. I'm going to be carrying this story in my soul for a very long time. Beautifully written. Excellent pacing. Memorable characters. Word art at its finest. I was hoping for much more than this book offered. In the end, it was little more than a brief outline of Black history wrapped around shallow, predictable characters. I found Homegoing to be a diverse book, moving forward throughout time. This book gives a view of slavery and racism through the passage of time, and how so many families and lives where changed and destroyed.